. . . only the beginning. Next Wednesday, August 28th marks the 50th anniversary of the legendary March on Washington. The largest Civil Rights demonstration of its kind up to this point, the march culminated in a day of speeches in front of the Lincoln Memorial and a general feeling that something had begun. Most people think of this day only in the context of the famous “I Have A Dream” speech of Dr. Martin Luther King. And that this demonstration somehow signaled an end to segregation, Jim Crow, discrimination, racism and the seemingly endless struggle was over. Oh, that it were so. But no. If anything, it intensified the struggle and has claimed countless more lives since that day. The struggle, if anything, continues to this day. 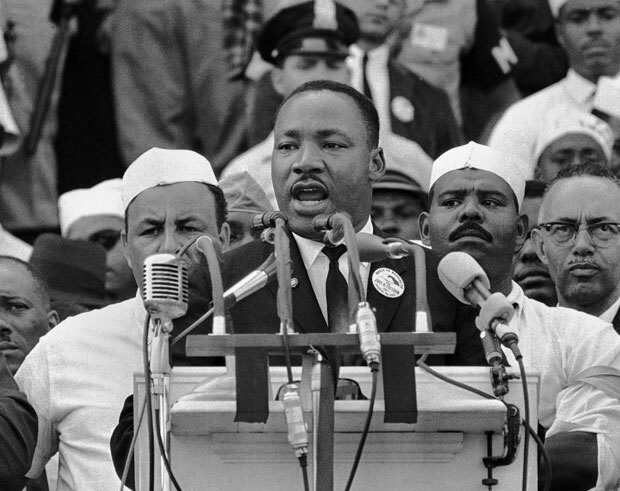 But on August 28th 1963, 50 years ago, it was a start and it was a mass showing of people committed to the cause of Civil Rights and it became the focus of the world. But as I said, the famous “I Have A Dream” speech was only one speech delivered that day. Perhaps the most inspiring and dramatic, but one of several voices deeply committed to the cause of ending the racial divide in this country. And so, my post in honor of this occasion is made up of many of those other address, in addition to Dr. King, given by other pivotal figures in the movement. A. Philip Randolph. The de facto Master of ceremonies, but a vital force in the Civil Rights movement. Acting as Master of Ceremonies and leading the March was the Dean of Civil Rights leaders, A. Philip Randolph. Representing the American Labor Movement, it was Randolph, along with Bayard Rustin and Dr. Martin Luther King who organized the march and it was Randolph who inspired the Freedom Budget which deal with the economic and unemployment struggles in the black community. A. Philip Randolph then introduces John Lewis, National Chairman of the Student Nonviolent Coordinating Committee. The youngest speaker to address the rally, John Lewis, at 23 had already seen more than his fair share of the Civil Rights Struggle. As organizer and Chairman of The Student Nonviolent Coordinating Committee, Lewis helped organize the famous Mississippi Freedom Riders in 1960. For his work and abilities to organize successful protests during the Mississippi Freedom Summer, he was considered one of the “Big Six” in the Civil Rights Movement. A. Philip Randolph then introduces Chairman of The Urban League, Whitney Young. Whitney Young – Took the Urban League and broke new ground. As a tireless worker for Civil Rights in the area of employment discrimination, Whitney Young took the flagging and passive Nebraska chapter of The Urban League in 1950 and built it into one of the most influential and powerful organizations in dealing with the problems of the poor and disenfranchised. He would later become President of the NAACP, with another notable Civil Rights figure, Roy Wilkins as its executive director, who follows him with the next address. 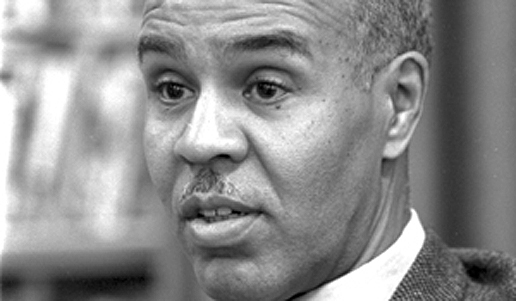 Roy Wilkins – led the NAACP from 1955 to 1977. As the longest serving leader of the NAACP, Roy Wilkins was also one of the leading figures in the Civil Rights Movement. 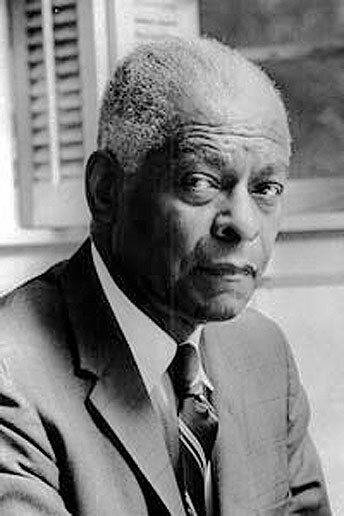 Not only one of the organizers of the March on Washington, he was also instrumental in an economic plan to counter the “Credit Squeeze” imposed by the White Citizens Councils in the South by helping create a bank owned and run by African-Americans (the Tri-State Bank) which offered loans and helped establish a solid economic base for the black community in the South. In addition to organizing the March on Washington, Wilkins also helped organize the Selma to Montgomery Marches in 1965 and the March Against Fear in 1966. Randolph then introduces Rev. Dr. Martin Luther King. The address that will never be forgotten. Without question, the most often played, quoted and referred-to speech in American history. The address most people have come to assume was the only address that day, and the one many people wrongly assume came to signal the end of discrimination in America. If it all could have happened on the basis of one impassioned address, no doubt this would be it. But is signaled the beginning of what would be, and still is, a long bitter struggle to achieve racial equality in this country. No doubt the most dramatic and poetic speech of the day, it was nonetheless only a part of what would be a day-long celebration and show of unity. 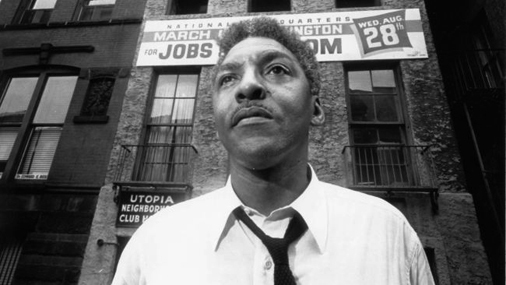 Bayard Rustin – Pacifist, activist and gay rights advocate. One of the earliest Civil Rights Activists, Bayard Rustin had been involved in helping initiate a Freedom Ride in the South in 1947 to challenge racial segregation on Interstate Busing. He helped organize the Southern Christian Leadership Council and was an active promoter of the non-violent practices of Mohandas Gandhi, which he learned first hand from his time in India during the Independence Movement there. Rustin was also a major influence on other non-violent activists, among them Stokely Carmichael. But he also had to deal with an additional discrimination; that of a black homosexual who had been arrested in 1953 when homosexuality was considered a punishable crime. So in addition to being an activist in the Civil Rights movement, Bayard Rustin was also an early activist in the Gay Rights movement in the 1970s. Sadly, his work in the Civil Rights movement has been largely ignored over the years. Something that needs to be addressed. To close the rally, A. Philip Randolph calls on Morehouse College President Dr. Benjamin E. Mays to lead the benediction. Closing an overwhelming day in history. And ending one of the most historic days of the 1960s. This is only a small portion of what went on that day. But it’s at least a sampling of a historic day that has lived on in the minds of millions of people these past 50 years and became a pivotal point in a struggle for Civil Rights, Human Rights and dignity. So in case you thought it was just one speech . . . .
And with a few deft strokes of a pen, lives were changed. Forty-nine years ago this week, the seemingly innocuous event of signing a bill pledging support of the South Vietnamese government from further intrusions by the North wound up changing a lot of peoples lives forever. Over what has later been labeled as falsified claims of an attack by North Vietnamese Patrol boats of U.S. ships in the Gulf of Tonkin, escalated into what would soon become a full-on shooting war, with U.S. service personnel no longer considered “advisers” but an active troop buildup that would eventually result in the loss of some 58,000 American lives and countless North and South Vietnamese. And on August 10th of 1964, President Johnson signed the bill that got it all started. Surprisingly (but not at the time), passage of the Resolution was a shoe-in, with only 2 votes against our further intrusions into Southeast Asia. Here is the signing of that bill, as it happened on August 10th 1964. The broadcast begins with one of the many “features” during the broadcast day – an episode of Emphasis, with a description of the typical Pharmacy in Rome and then switches live to Washington for the signing ceremony. How something so simple could wind up being so profound speaks volumes about how history actually happens. A Word from RFK – July 7, 1964 – Past Daily Reference Room. Robert F. Kennedy – during his tenure as Attorney General. What we needed in the country and the world was to face up to problems. A Press Conference by Attorney General Robert F. Kennedy, from July 7, 1964. Given during the White House Seminar for Students employed in Washington over the Summer. A yearly seminar, attempting to persuade those student employees to consider a career in government once they entered the workforce. The Press conference opened with a statement by the Attorney General who said, in effect that if the young people didn’t take an active role in the political goings on in Washington, the entire country would suffer as a result. Then Press conference then opened for a question-and-answer period where RFK was handed a wide range of topics; everything from the Civil Rights Movement to his alleged animosity towards Teamster President Jimmy Hoffa. 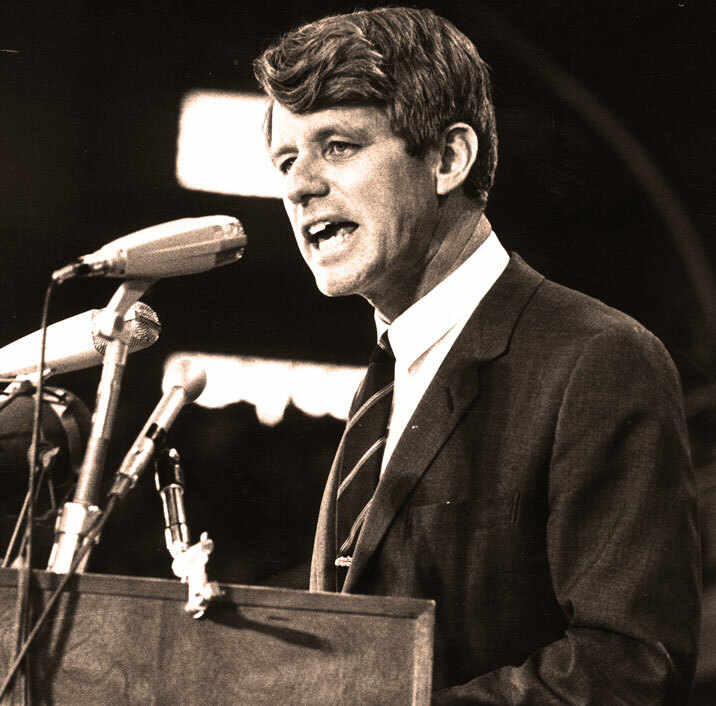 A fascinating account and another glimpse into the career of Robert F. Kennedy. As broadcast on July 7, 1964 with highlights from the conference. . . .and growing pains. During a day where the political and socio-economic growing pains were dragging on throughout Europe, talk about the strange weather gripping the U.S., from extreme drought to extreme heat, had everyone peering ominously at the recent Atomic Bomb tests in the Pacific, asking if those mushroom-shaped clouds had anything to do with the weird weather. And on this July 1st in 1947 the answer from the Weather Bureau was an emphatic no. Meanwhile, the Mississippi River in the St. Louis area was overflowing its banks in record amounts and causing widespread flooding – the most in 103 years. So while Washington basked in the steaming-wet gym sock of Summer heat, life went lumbering on. 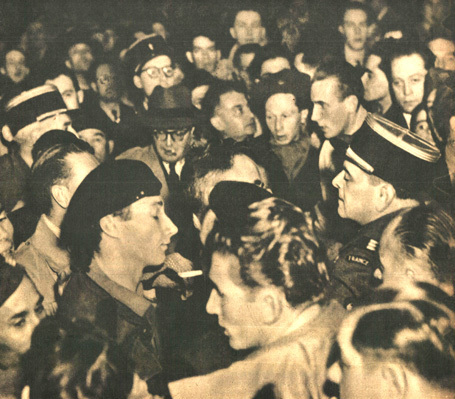 Strikes were threatening all over the country and negotiations were feverish. Another storm of controversy surfaced when the President suggested, as reaction to the Rent Control situation, to suggest Congress nvestigate the Real Estate lobby. 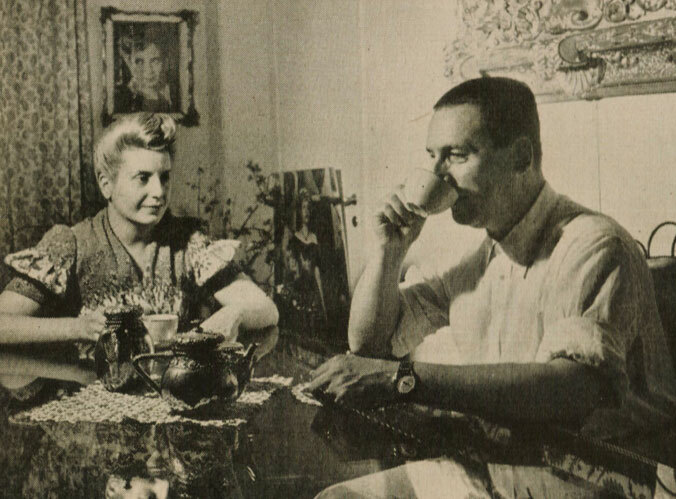 The Home Builders and Real Estate Associations were accused to applying pressure to members of Congress with misleading and false propaganda regarding President Truman‘s Housing programs. Word from France was anticipated pessimism over the latest Paris Economic Conference. Word was waited during the broadcast, but the much hoped-for communique hadn’t come. So everyone speculated for the worst. And that’s a lot of how the day went, this 1st of July 1947 as told by H.R. Baukhage over ABC Radio.